Automobile companies Toyota, Renault, Ford, Nissan and Volkswagen have all reported double-digit growth in domestic sales last year. But, there is another common factor among these five leading global carmakers. They all rely heavily on a successful single model for the bulk of their India sales. The reliance on a single model begins at about 40 per cent and goes up to 80 per cent in the case of some companies. Take the case of Japanese carmaker Nissan. During financial year 2016-17, it got about 40 per cent of its local sales from a single vehicle, the rediGo, the entry-segment car launched in June last year. For Nissan’s alliance partner Renault, a lot rides on the Kwid, the sports utility vehicle-styled entry hatchback it launched in September 2015. 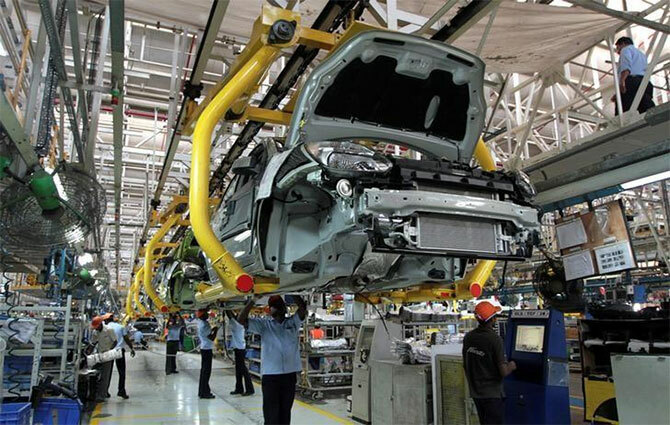 This single model accounted for 81 per cent of the French carmaker’s sales in India and was instrumental in helping the company grow its sales by an exceptional 88 per cent in FY17. American carmaker Ford’s compact sports utility vehicle, the EcoSport, contributed to about 53 per cent of local sales in FY17. This model, launched in 2013, grew by double-digits last year in spite of new entrants, such as the Hyundai Creta and Maruti Suzuki Baleno, after the company affected a steep price cut of up to Rs 1.12 lakh in March 2016, days after Maruti launched the Brezza. Anurag Mehrotra, executive director (sales, marketing & service) at Ford, said there was always a concentration of volume in certain models. “I can’t think of any manufacturer who has got huge spread of volume across models. Japanese auto major Toyota gets 55 per cent of its volumes in India from the Innova Crysta, which commands a waiting period of about a month even after a year of its launch. High reliance on this single product had pulled down the company’s volumes for months since December 2015 when the Supreme Court banned sales of diesel vehicles (2,000cc and above) in the large market of the National Capital Region. “Our strength lies in the Rs 10 lakh-plus product. We will rely on the Crysta for the next two-three years till BS-VI comes and allows us an opportunity to expand the hybrid range,” said N Raja, director and senior vice-president (sales & marketing) at Toyota’s India operations. Maruti Suzuki and Hyundai - the top two players in domestic car market - have a more diversified product portfolio with no single product contributing even one-third of total sales. Market leader Maruti Suzuki’s most-sold model, the Alto, contributed to 17 per cent of the total domestic volumes of 1.44 million units in FY17. Together with the Dzire, its second-most sold model, the Alto made up 28 per cent of the volume. Korean carmaker Hyundai got 28 per cent of domestic volumes (509,705 units) from the i10 Grand last year. What makes Fiat Urban Cross a good companion to live with?